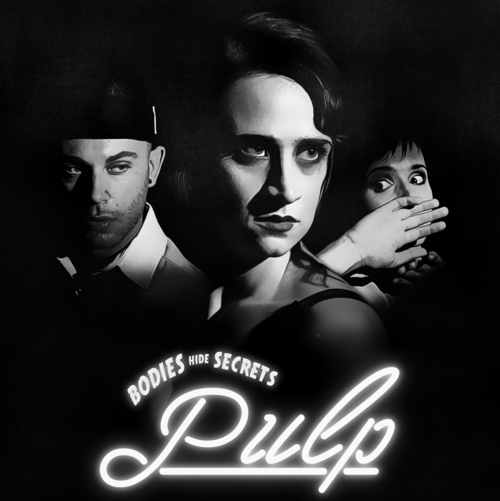 Pulp begins in a hazy dream, a silent movie where bodies hide secrets. Mysterious beauty, dark comedy, and seat-shifting tension co-exist in a world that follows the peculiar logic of dreams. 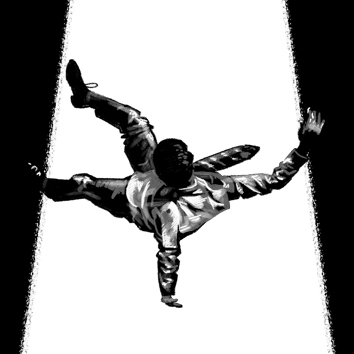 Film Noir meets Dance Theatre in the most intimate work yet from Cape Town's award-winning leaders in innovative dance. Fresh from winning the Blue Couch Award at the Kyknet Fiestas for producing the most ground-breaking work of 2015, Underground Dance Theatre are back with their latest genre-bending production! Like the iconic film noir private detective navigating a morally ambiguous, labyrinthine city populated by ingénues, criminals and femme fatales, so must the audience navigate the world that is presented to them in Pulp, searching for clues, gathering evidence, and perhaps preparing an alibi as they deal with their own demons. Pulp stars Steven van Wyk (Fleur du Cap 2016 nominee for Best Actor in a Musical for Singin’ in the Rain), as well as Thalia Laric (First Physical Theatre), and Cilna Katzke (Cape Town City Ballet, iKapa). Background Underground Dance Theatre (UDT) is a collective of young and upcoming choreographer-directors who want to explore new performance styles and create progressive, high quality work that is at the meeting point of physical theatre, contemporary dance and dance theatre. The company uses a collaborative choreographic approach to look for original movement and images that deconstruct and redefine the limits of dance in South Africa. Working collaboratively has also allowed the collective to pool resources and join forces in order to navigate the challenges of the South African arts scene. All members of the collective have completed or are completing Master’s degrees within the fields of dance and theatre. As active members of the theatre community they consistently publish and present papers at numerous academic conferences, and perform regularly across a variety of professional platforms, from classical ballet to physical theatre, from performance art to musical theatre. Works The collective first came together for the production Featherweight in 2010 which was performed at University of Cape Town’s Hiddingh Campus and at the Dance Transmissions Festival in Kampala, Uganda. In 2011, members of Underground Dance Theatre were awarded a 2011 Creative Arts Award by the Gordon Institute for Performing and Creative Arts (GIPCA) for the creation of Fractography: The untold story of Napoleon and Josephine. The work debuted at The Arena Theatre, Hiddingh Campus. It was then performed at Hiddingh Hall as part of the GIPCA Emerging Modernities Conference, Baxter Dance Festival 2011, and the UCT School of Dance’s Confluences 6 Conference (2011). The dance film adaptation of Fractography, made in collaboration with filmmaker Mandilakhe Yengo, was presented at GIPCA’s Dance and Film Conference (2011), as well as the National Arts Festival Film Festival (2012). Keepsake Minus 3 (2012) was produced in collaboration with Nicola Elliott for the National Arts Festival Fringe. The production received a Standard Bank Ovation Award (2012) and was named the Best Dance or Physical Theatre Production at the Kyknet Fiesta Awards (2013). Keepsake Minus 3 was also presented at the Theatre Arts Admin Collective in Cape Town. Two of the works from the production were presented on the Main Programme at the Baxter Dance Festival. Reviewers called the work “highly entertaining and thoroughly unpredictable” (Cape Times) and Adrienne Sichel listed the company as one of the year’s emerging companies to look out for. Plastic, featured at the National Arts Festival Fringe 2013, is a double bill programme consisting of Room choreographed by Kristina Johnstone, and Skoonveld choreographed by Steven van Wyk and Thalia Laric. The production was generously supported by funding from ECPACC (Eastern Cape Performing Arts and Culture Council). The production was awarded a Standard Bank Ovation Award, and Skoonveld was awarded a Special Standard Bank Silver Ovation Award. Plastic toured as Plastiek to KKNK in 2014. In 2014, UDT was awarded funding from the Arts and Culture Trust to create BOK – the company’s first full-length a production. Additional funding from the National Arts Council enabled BOK to be staged at the Magnet Theatre in Cape Town in December 2014. BOK toured to KKNK in 2015. UDT was asked to create Mode the commissioned work for the Baxter Dance Festival’s 10th Anniversary in 2014. The Gordon Institute of Creative and Performing Arts commissioned Underground Dance Theatre to create Eyes Closed with Pinata for the 2014 LiveArt Festival. Askoop (2015) UDT’s first cabaret, debuted at KKNK. An extract was performed at the 2015 Kyknet Fiesta Awards. The production LoveZero (2015) was presented on the Arena Platform at the National Arts Festival. The production toured to the 2015 Vrystaat Kunstefees in Bloemfontein, and was performed at the Youngblood Gallery in Cape Town. One of the works from LoveZero, Cipher was presented at the Baxter Dance Festival 2015. Awards Donald Gordon Creative Arts Award awarded to Kristina Johnstone for the work Fractography (2011), Standard Bank Ovation Award for the production Keepsake Minus 3 (in collaboration with Nicola Elliott) (2012), Kyknet Fiesta Award for Best Dance Production for the production Keepsake Minus 3 (in collaboration with Nicola Elliott) (2013), Standard Bank Ovation Award for the production Plastic (2013), Standard Bank Silver Ovation Award for the work Skoonveld (2013), Kyknet Fiesta Award for Best Dance Production for the work Skoonveld (2014) Kyknet Fiesta’s Blue Couch Award for the Most Ground-Breaking Production of 2015 for Askoop.